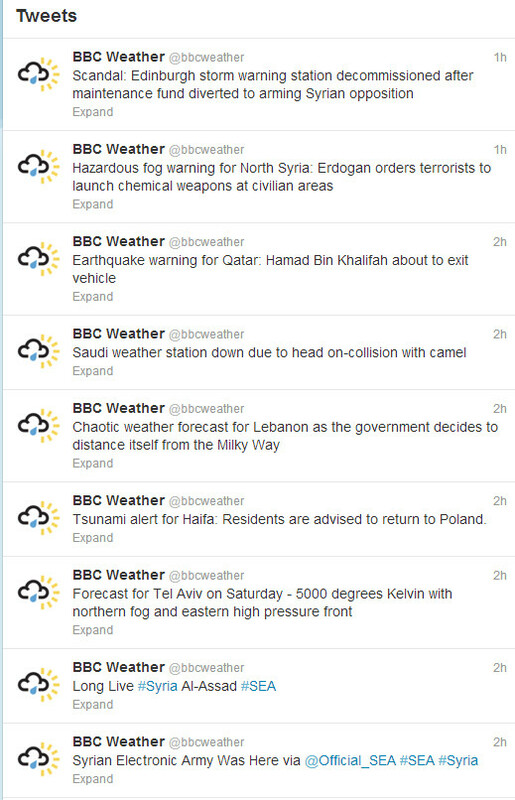 There must be red faces all round at the BBC as their official weather Twitter feed was hacked for a whole two hours this afternoon. 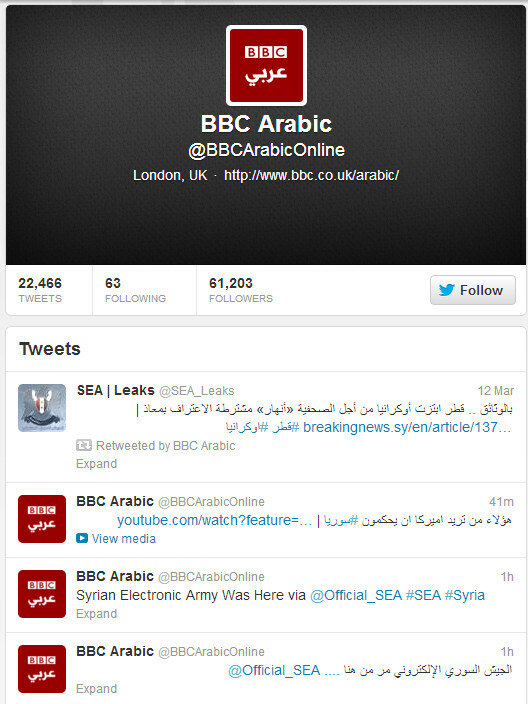 As hackings go, the culprits – calling themselves the Syrian Electronic Army – seemed quite mild mannered folks, only posting a total of nine tweets, and none of them particularly revolutionary, and most with a weather related theme. Sorry about that, we were hacked. Normal service resumes. Here’s the full roll call of hacked Tweets. Apologies to all our followers our account was hacked today. @bbcradioulster It was more fun when hacked. Please let them continue.